Palmers Eventone Dark Spot Corrector Review (2018): Is It Safe To Use? Palmers Eventone Dark Spot Corrector evens out your patchy toned skin. Although this product may not be suitable for sensitive skin. Palmer’s is one of the household names in high quality skin care. To this day, Palmer’s formulates only handcrafted products. 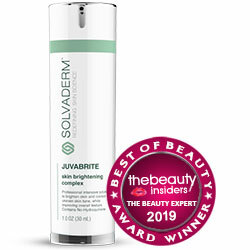 This brand has been associated with extreme skin moisturizing qualities that last for hours. Lighten dark marks and other dark skin problems. Brighten your overall skin tone. This product works by delivering a combination of safer skin lightening ingredients, alongside ingredients that promote your lighter and brighter complexion. Synovea: A proprietary ingredient that has been demonstrated to have skin whitening and brightening, toning, and melanin-inhibiting properties which helps correct and protect your skin from multiple causes of hyper pigmentation. Soy: Has a soothing and calming effect on inflamed skin, effectively relieving skin of redness irritation and swelling. Vitamin C: Revives your skin cells, provides antioxidant properties, and has natural skin lightening, and pore tightening properties that enhance your skin’s overall brighter and more youthful complexion. Licorice Extract: Has natural anti-inflammatory properties that calm and soothe skin irritations to promote a more even skin tone. Aloe: It reduce skin inflammation. Aloe is used to effectively heal chronic skin problems, such as psoriasis, acne and eczema. Although it may also cause rashes on the skin & itchy skin. 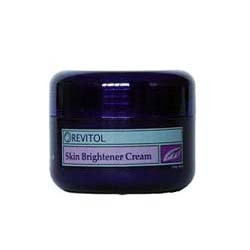 This product lightens your skin without hydroquinone. The formula is infused with Synovea, a proprietary skin lightening ingredient that has been shown to be up to 4 times more effective than hydroquinone. Although there is no clinical evidence regarding this claim. This product is widely distributed online, and in physical stores, including drugstore chains. This product may not be suitable for sensitive and problematic skin types due to its high concentration of fragrance content which is one of classified top 3 allergens commonly in cosmetics. Palmers Eventone Dark Spot Corrector reviews have indicated this product’s strong fragrance which several users have found to be extremely irritating and discomforting. If you like your skin to convey a matte finish, this product will leave your skin surface with noticeable glitters. Does Palmers Eventone Dark Spot Corrector Have Any Side Effects? Skin irritation and allergic reactions due to several ingredients, including benzyl salicylate, fragrance ingredients. Increased risk for developing different types of cancers due to PEGs, toxic chemicals that have a high affinity for toxic ingredients, including 1,4 dioxane, a confirmed carcinogen. 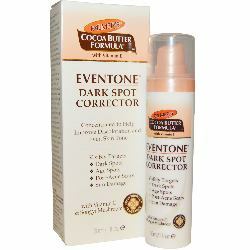 Use Palmers Eventone Dark Spot Corrector as part of your morning and evening skincare regimens. Palmers Eventone Dark Spot Corrector will help you get that sun-damaged skin of yours back on track. Except, there are also ingredients in there that may give rise to other skin issues, irritation being one of them which, for the large part, is due to this product’s formulation.